This article is about winning Roulette strategies. 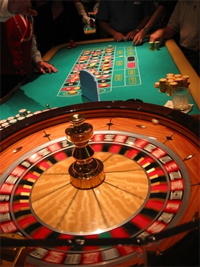 One can choose Roulette best strategy for playing and winning. The principle of this system is that the player makes a bet and if he loses he doubles the bet. If he loses again he doubles the bet again. The player should keep doing it until he wins. After the winning one should go back to the original bet. A lot of players who try this system have a success with it. This system is not ideal for becoming rich, but one is not likely to lose the game using it either. 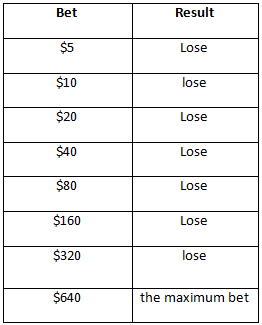 So, again, if one plays on a $5 table, loses for the first bet, the next bet would be $6. If it a loss again, the next bet would be $7 and so on. So, this system is much safer than the previous one. This system is a progressive like the Martingale system and played with the outside bets which are Red or Black, High or Even, Even or Odd. For this system one should start with a numbers line, for example, 1-1-2-3. So, it necessary to take the first number and the last one, and add them, it will be 4 and it is the bet - $4. If one wins, he/she should cancel numbers 1 and 3 from the line and come up with the next total which would be 1 and 2. So, the bet is $3.